The idea came about when one morning I was carrying the bottle of OreganolP73 back from the bedroom to it's designated place (I have used it on my younger daughter's soles the previous night, but more about that later) and I thought to myself "I am so glad this came into my life" and it got me thinking what else I appreciate so much? What are my top five items? My top three items that I couldn't live without? So I came up with my top three, asking myself, if everything I have disappeared, what items I would run to buy first? So let's see what my top three items are and why I love them so much? It has to be organic, virgin or cold pressed if you want to get the most benefits from it. This is the first "green" item I purchased when I transitioned into all things natural, and I am so glad I did! It truly has a myriad of uses and can single handedly replace all your skincare for the most part. I like most people find it a bit too much when used on the face, but for body moisturisation you can't beat it, and that's what I actually used for many years. if you mix this with a bit of Weleda's Sea Buchthorn Oil it will smell like toffee, I kid you not, and if you want to be totally purist and frugal, you can use only this for your body moisturisation, you won't need anything else. It is great for softening the elbows, feet, you can use it as a hair mask too, just bear in mind it can be a bit hard to wash off, you will need to shampoo twice to remove it, but it is totally worth it. For the longest time ever this I used as my hands moisturiser too, in fact I used to use it for my skincare so much, that I almost forgot it is edible thing, and very wonderful at that! You can use it for baking, in your bulletproof coffee, as an eye make up remover, diaper cream, you name it, it is good for it, haha! On the more serious note, you can google "101 use for coconut oil" if you are in the beginning stages to give you some ideas, but if you are like me and use it for a good number of years already, it is safe to say it has a million uses, right? Right now I want to get fractionated coconut oil (it is modified to stay liquid) to try and make my own natural perfumes with essential oils. Coconut oil has a multitude of health benefits, which include but are not limited to skin care, hair care, improving digestion and immunity against a host of infections and diseases.It can actually help you with weigh loss, heart disease, improve immunity and digestion, keep the candida in check and is good for liver, kidneys, and practically for your whole body. I seriously urge you to research the many benefits of it and start using it asap if you are not using it already. (P.s. if you live in Ireland, go to supermarkets like Dunnes, SuperValu and such and you will get it trice cheaper than in Holland and Barrett. It pays to shop around. One tub of it will last you years too, so invest in a good stuff. Make sure it's raw and organic). Tea tree, also known as maleleuca, is well-known for its powerful antiseptic properties and ability to treat wounds. Tea tree oil is derived mainly from the Australian native plant Melaleuca alternifolia has been widely used throughout Australia for at least the past 100s of years. And it is proven in numerous medical studies to kill many strains of bacteria, viruses and fungi. Tea tree oil has hundreds of uses too, from making homemade cleaning products, diffusing it in the air to kill mold, applying it topically to heal skin issues. I truly feel it should be in in medicine cabinet in every house. I myself also use this for more than 7 years already, and my main uses are for the skin issues, spots and cuts and grazes and such, where the skin needs to be disinfected and treated at the same time. I can also be used for cold sores, but you might want to dilute it with coconut oil if you find it too strong on it's own. Do not use it anywhere near eyes and wash your hands throughout immediately after using it. Speaking of washing hands, you can add a few drops into your hand soap to make it antibacterial (You know that "traditional" antibacterial soaps are nothing but bad news, don't you? Some countries banned them completely). Again, I strongly suggest you do your own research and be informed consumer. I also successfully removed skin tag with it, no visits to the doctor, no cutting or freezing! You can see it here. My mom (who resisted all my suggestions for the longest time ever) now is also a die hard fan of it, and always asks me to supply more if she runs low. This is new(ish) addition to my collection, and by that I mean I use it for the second year running. Yes, I like to test things throughoughly before I speak about them or feature on my blog or social media. Please bear in mind that i am not qualified in medical field to give advice, so I can only talk about how I use it myself. 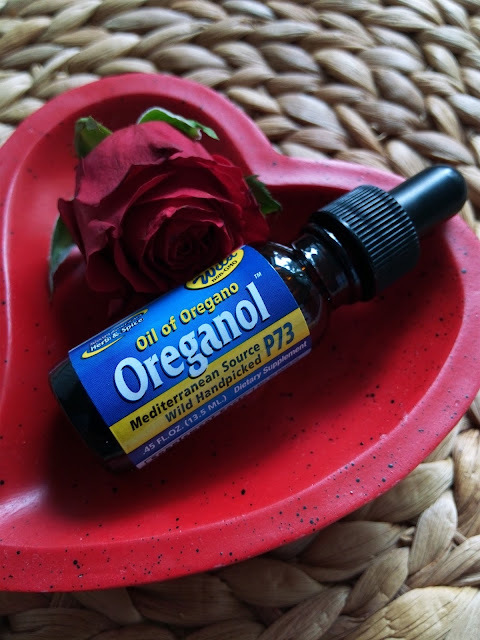 OreganolP73 is an extract of wild oregano, and not only it is a natural antibiotic, but it is also a powerful antioxidant! Say what? I admit I need it to research it much further myself, and I mainly use it as an antibiotic. Trust me, as a someone with non existent immunity, I used to get sick 8 times during winters (any wonder why I hate winters?) and since discovering this beauty I haven't seen a doctor, nor any of my family members took actual antibiotics in the last two years! I take 2-4 drops in a little of water followed by a large glass of water. It tastes nasty, but boy does it work, so I just put up with it. If you are in the beginning stages of flu, take it three times a day for a day or two and you will be back on your feet in no time, you will see.If your kids just won't take it, rub their soles with it. Be sure to look for P73 on the bottle, because not all extracts of oregano are created equal. I also suggest getting the undiluted version, because some of them come already diluted, but you are better off getting the potent version in the long run, as it will last you years, no kidding. Ours is a family of four, and my first bottle lasted me 1.5 years using it internally and externally. 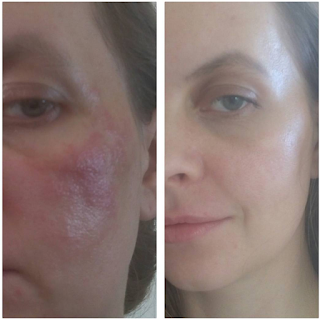 Externally I used it to treat my dermatitis, you can see more of it here, and I have to say it was brilliant for it. You can also use it to treat gingivitis, bronchitis, candida, yeast infections and fungus caused diseases. Used as an antibiotic, it does not have side effects like the they do, it does not wipe off your good gut bacteria, does not reduce vitamin absorption, does not damage digesting lining causing leaky gut, etc. As all good natural remedies this is increasingly hard to find, I got mine in a health shop, but it wasn't on the shelf, I had to ask for it. It is also avail online. 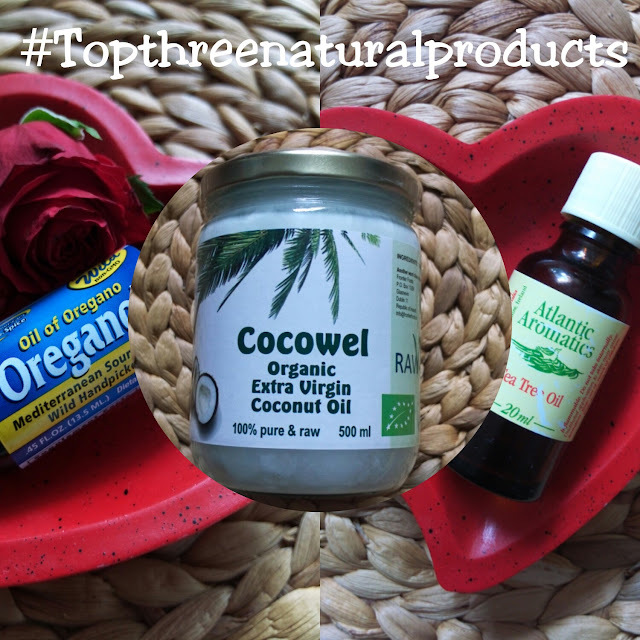 I had to go back to this article and remove a good few links about Oreganol, because for some strange reason information about this wonderful natural remedy is disappearing from internet - and fast! 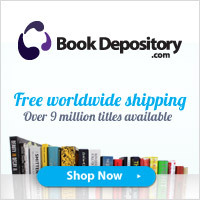 I had to remove links from Live Strong and Mind Body Soul and similar websites. I think it is only a matter of time it will be outlawed - but let's hope it is only my imagination running wild. So, let's see the benefits of this thing no one knows about? So that is all for now my lovely readers, your turn! I really surprised myself by not choosing any make up item considering how much I love it, but when I come to think of it, the health is more important, right?